Toothpaste and toothbrush. Peanut butter and jelly. Andre 3000 and Big Boi. Some things were just meant to be together. Today’s song of the day comes courtesy of the greatest hip-hop duo of all time. Based out of Atlanta, Big Boi and Dre have released six albums together, including the two-disc set entitled Speakerboxxx/The Love Below. By spitting extremely conscientious and thought-provoking lyrics while maintaing a distinct “dirty south” style, Outkast has been able to almost singlehandedly bring southern rap to the forefront of the game. 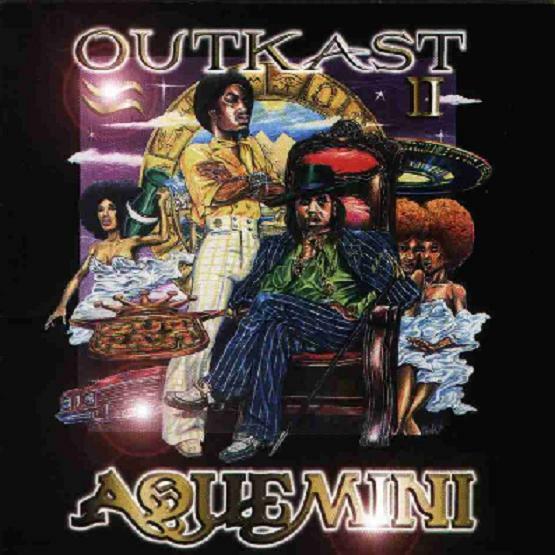 Chonkyfire is off of Kast’s third album Aquemini (a play on words incorporating each of the duo’s zodiac signs). It’s an overcast afternoon down here in New Orleans, and nothing feels more appropriate for today’s mood than this grimey, distorted – somewhat eerie track. Enjoy.